King in Prussia (German: König in Preußen) was a title used by the Electors of Brandenburg from 1701 to 1772. Subsequently, they used the title King of Prussia (König von Preußen). 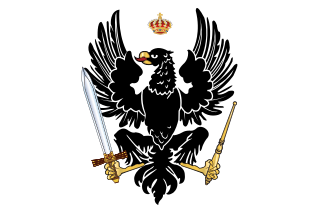 The House of Hohenzollern ruled Brandenburg as Prince-Electors, and were subjects of the Holy Roman Emperor. Since 1618, the Electors of Brandenburg had also ruled the Duchy of Prussia, which lay outside the empire, in a personal union. The dual state was known as Brandenburg-Prussia. The Duchy of Prussia was originally a fief that the dukes held of the King of Poland, of whom they were vassals, until the Treaties of Labiau (1656) and Bromberg (1657), with which Frederick William, the Great Elector, had achieved full sovereignty from the Polish Crown. In 1701 Elector Frederick III wanted to show his greatness by adopting the title king . In the Crown Treaty of 16 November 1700, in return for Hohenzollern assistance in the War of the Spanish Succession and support for the Habsburg candidate in the subsequent election, Emperor Leopold I allowed Frederick to crown himself "King in Prussia". Only two royal titles were permitted within the borders of the Holy Roman Empire–King of the Romans (held by the Holy Roman Emperor) and King of Bohemia. However, Prussia lay outside the empire, and the Hohenzollerns were fully sovereign over it. Frederick thus argued that Germanic law of the time allowed him to rule Prussia as a kingdom. The title "King in Prussia" reflected the legal fiction that Frederick was only sovereign over his former duchy. In Brandenburg and the other Hohenzollern domains within the borders of the empire, he was legally still an elector under the ultimate overlordship of the emperor. By this time, however, the emperor's authority had become purely nominal. The rulers of the empire's member states acted largely as the rulers of sovereign states, and only acknowledged the emperor's suzerainty in a formal way. 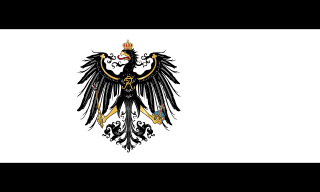 Hence, even though Brandenburg was still legally part of the empire and ruled in personal union with Prussia, it soon came to be treated as a de facto part of Prussia. "Suum cuique", or "Unicuique suum", is a Latin phrase often translated as "to each his own" or "may all get their due". It has been significant in the history of philosophy and as a motto. Even so, Frederick's move was controversial, and only became widely accepted after the Treaty of Utrecht in 1713. The title "King of Prussia" implied lordship over the entire Prussian region, not simply the former Duchy of Prussia, now the Kingdom of Prussia. The assumption of such a title by the Hohenzollern margraves would have threatened neighboring Poland; because the province of Royal Prussia was part of the Kingdom of Poland, the Kings of Poland titled themselves Kings of Prussia until 1742. Throughout the 18th century, the Hohenzollerns increased their power. They were victorious over the Austrian Habsburg Monarchy in the three Silesian Wars, greatly increasing their power through the acquisition of Silesia. King Frederick II adopted the title King of Prussia in 1772, the same year he annexed most of Royal Prussia in the First Partition of Poland. The kings of Prussia continued to be Electors of Brandenburg until the empire's dissolution in 1806. Brandenburg was then made a Prussian province, and Berlin officially became the kingdom's capital. The state of Prussia had its origins in the separate lands of the Margraviate of Brandenburg and of the Duchy of Prussia. The Margraviate of Brandenburg developed from the medieval Northern March of the Holy Roman Empire, passing to the House of Hohenzollern in 1415. 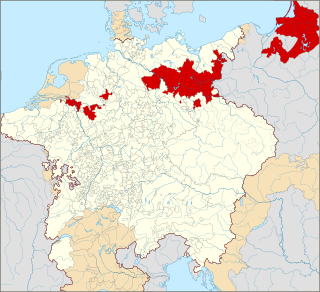 The Duchy of Prussia originated in 1525 when Albert of Brandenburg-Ansbach, a member of a cadet branch of the Hohenzollerns, secularized the eastern lands of the Teutonic Knights as a Polish fief. Prince-elector John Sigismund, Elector of Brandenburg, inherited the Duchy of Prussia in 1618, thus uniting Brandenburg and Prussia under one ruler in a personal union; the Elector's state became known as Brandenburg-Prussia. The Kingdom of Prussia formed when Elector Frederick III assumed the title of Frederick I, King in Prussia, on 18 January 1701. 1 2 3 Beier, Brigitte (2007). Die Chronik der Deutschen (in German). wissenmedia. p. 162. ISBN 3-577-14374-6.